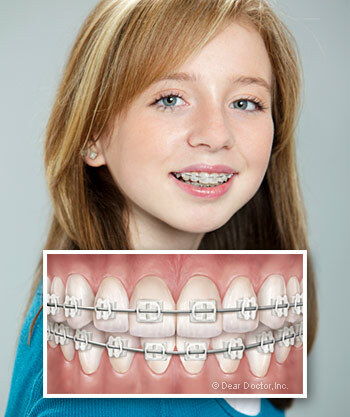 Typically made of high-grade stainless steel, traditional metal braces remain by far the most common type of fixed orthodontic appliances. 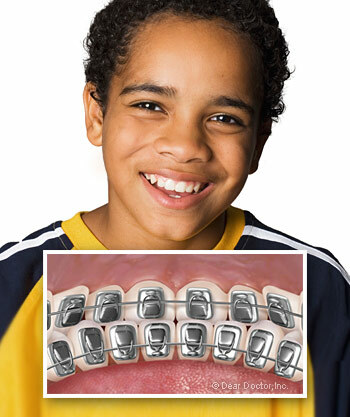 They consist of small metal brackets that are cemented to the front surfaces of teeth. A thin, springy metal wire, running through the brackets, gently guides the teeth into a proper position. 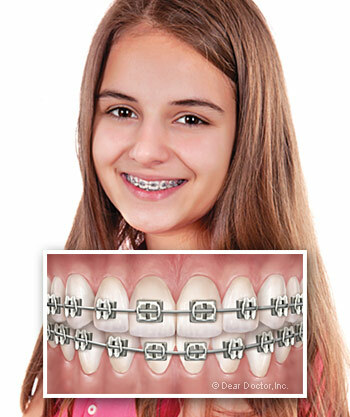 This archwire may be fixed to the brackets by flexible elastics, metal ties, or other types of clasps.